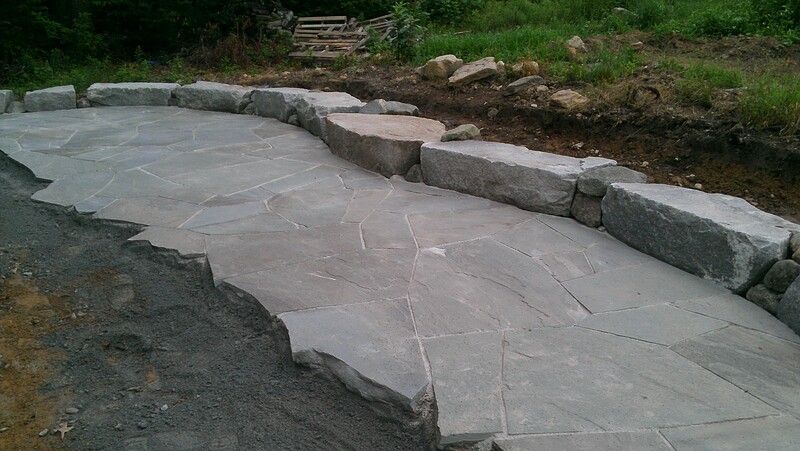 The following work was done by Joseph Blue with Blue Stone Masonry. He can be reached a jcpblue@verizon.net or www.bluestonemasonry.com. 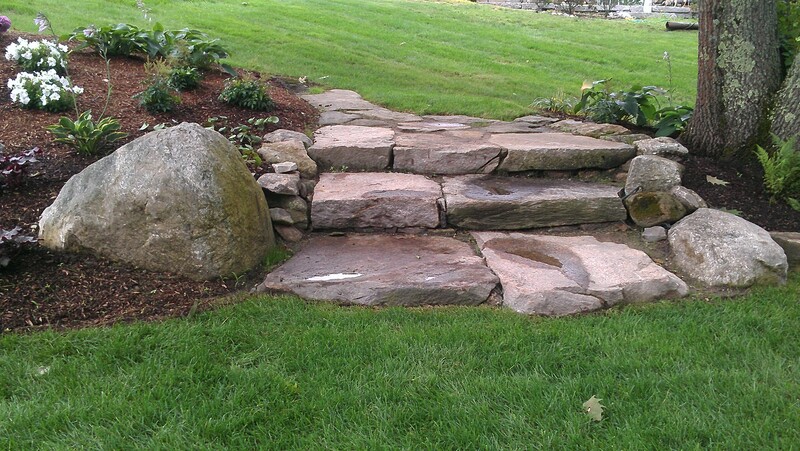 New England Fieldstone has been used to create this retaining wall. Heavily weathered surfaces have been preserved by our carefully salvaging techniques and Joe’s soft touch. Large chunks of New England Fieldstone and Reclaimed Granite were used for sitting areas around the perimeter of the patio. Irregular bluestone flagging was installed as the finished patio. New England Steppers create this three step set. 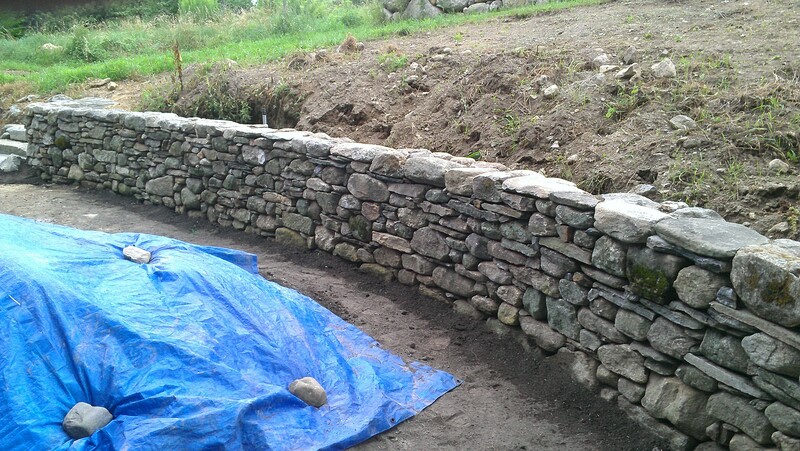 These stones were carefully salvaged from a 18th century Federal home in Dudley, Ma. Many of the original markings from being split are still evident on the edges. Contact us today for materials like you see and make sure to email Joe if you’d like to have work like this done at on your property.